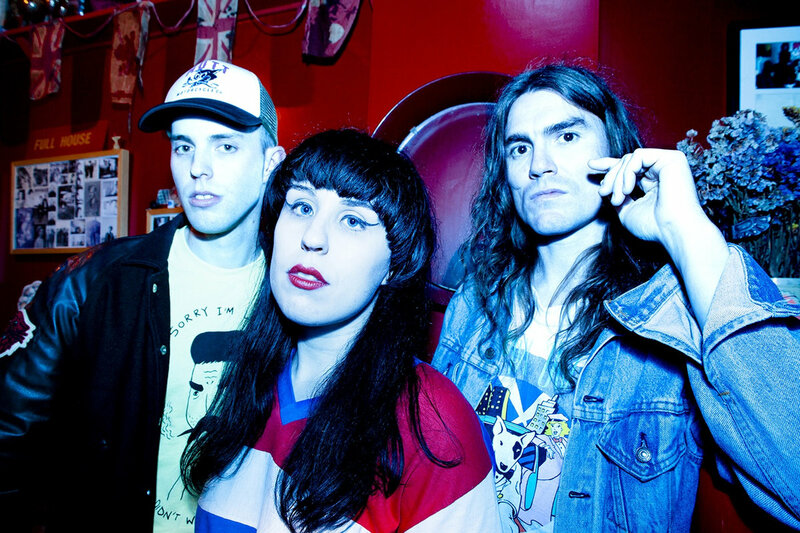 Ever struggled to decide between which cool independent club night or gig to go to? Want to dance to retro tunes one minute then watch your favourite up and coming band the next? Hott Date is for you! Once described by Grazia Magazine as ‘DJ Speed Dating’, Hott Date brings together the best and most fun independent brands, DJs and cutting-edge bands together for one big mother of a party! 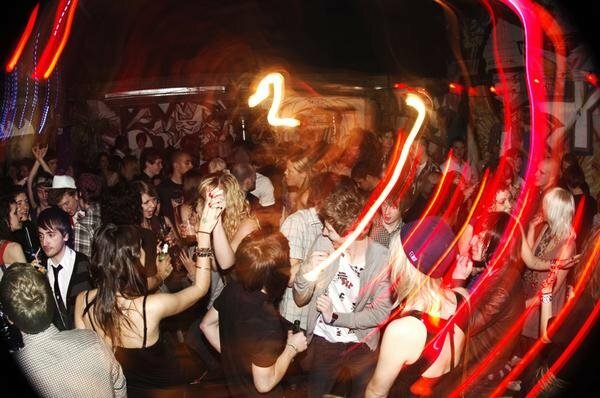 Originally launched 10 years ago at The Rainbow Pub in Digbeth, Hott Date became known as the best party around, great people, atmosphere, music and a hell of a lot of silliness including their infamous themed and Valentines events. After killer parties held at The Rainbow Pub, Garden, Beach and Warehouse, The Flapper, The Hare & Hounds and more, Hott Date went into hibernation for a few years. But now (like that friend you chucked out the party who climbed in back in through the bathroom window), it’s back, and it’s brought some new and old friends along for the ride. 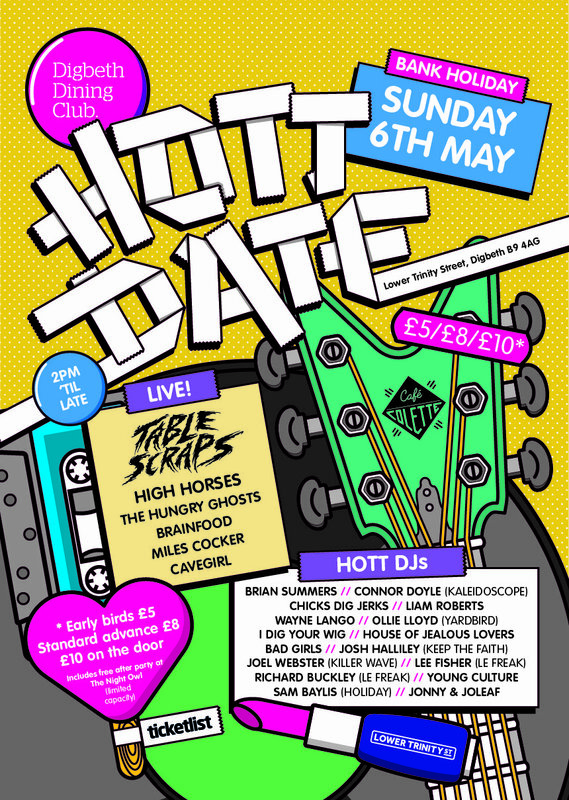 Sunday 6th May on Lower Trinity Street, Hott Date takes over 3 spaces on Lower Trinity Street in Digbeth; Café Colette, Unit 4 and the Digbeth Dining Club Yard. There will be DJs across all 3 areas plus live music in Unit 4 from headliners Table Scraps plus High Horses, The Hungry Ghosts, Brain Food, Miles Cocker and Cave Girl. Party brands along for the ride include 00’s indie-ravers ‘House of Jealous Lovers’, 80s pop lovers ‘Holiday’, disco divas ‘Bad Girls’ and ‘Le Freak’, reggae masters ‘Young Culture’, the fabulously funky ‘Colette’s Sundown Club’ resident DJs, alternative party classics from ‘Chicks Dig Jerks’, cosmic psych warriors ‘Kaleidoscope’, rock n rollers ‘Killer Wave’ and many more not to mention street food available on site from the legendary Digbeth Dining Club who are co-hosting this event with original organiser Mazzy Snape. This is not a dating event!